Okayama University selected by Japan's MEXT for the prestigious 'Program on Strengthen of Research Activity & its Promotion in Selected Universities'. Okayama University was selected on August 6 as one of only 22 institutions in Japan to receive support under the Ministry of Education, Culture, Sports, Science and Technology's 'Program on Strengthen of Research Activity & its Promotion in Selected Universities'. This program was launched this year (2013) with the aim of promoting the research capabilities in limited number of universities and supporting exceptional, world class level research activities at these ones. Twenty-two universities and inter-university research institutes were selected, including Okayama University. Under this program Okayama University will pursue an opportunity to hire talented person who can manage and support research as a staff or a technical expert to get a diverse and innovative range of activities to enhance its current excellence in research in order to establish an internationally accessible hub as a "Research University". 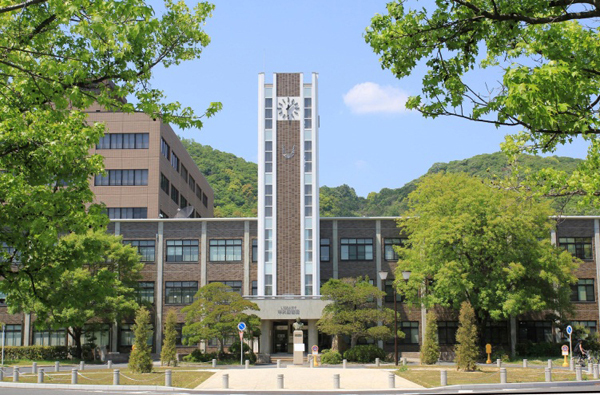 Specifically, although Okayama University already has four URA (University Research Administrator) members, it will hire additional talented staff as URA to support the president in implementing university reform policies and managing unfavorable circumstances of research infrastructure at the university. Furthermore, some of the URA will actively analyze global trends in research and assess the University's own research capabilities in order to define core research areas for the future. This Program will enable Okayama University to accelerate plans to provide strategic approaches to its leading researchers and enhance their outreach activities to establish Okayama University as a competitive global research university.